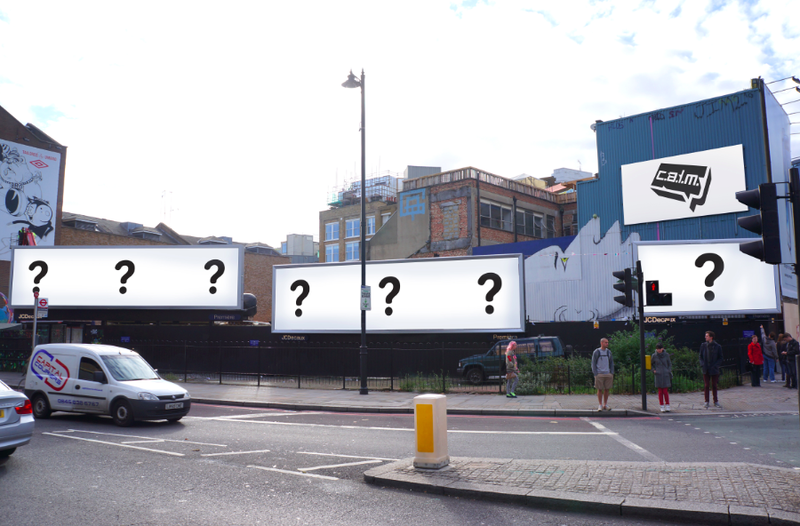 On Sunday 24th March, a team of well-known graffiti artists will paint a powerful message across three billboards at Old Street,London to highlight the three young male suicides that occur on average every day in the UK. The work will be displayed for 36 hours before being auctioned in aid of CALM, the campaign against living miserably, dedicated to preventing male suicide. Everyone is invited to come along and watch the art take shape, plus visitors are encouraged to lay flowers at the site in memory of those lost to suicide. Volunteers from CALM will be onsite during the day to give more information about the charity and visitors may even get the chance to meet the artists. Refreshments, merchandise and entertainment will also be available. Ad agency Beattie McGuinness Bungay (BMB) has been working with Soulful Creative and CALM with the support of JCDecaux and Red Gallery to put the project together. The artists involved go by the name of Koze, 45rpm and Richt and between them have over 20 years experience of painting graffiti around London and Bristol.